If you have an acoustic guitar with an endpin jack for the pickup, chances are good that there have been a few close calls where the strap has slipped odd the endpin, and if you are lucky you were able to catch the guitar before it hit the floor. There is not much of a flange on most of these jacks, so there just is not enough surface area to hold a strap properly in place. 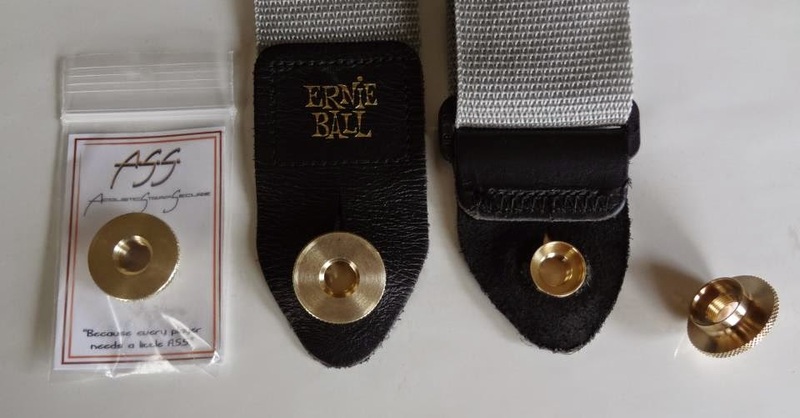 As time goes on and the hole in the strap wears from taking it on and off the guitar the problem only gets worse. 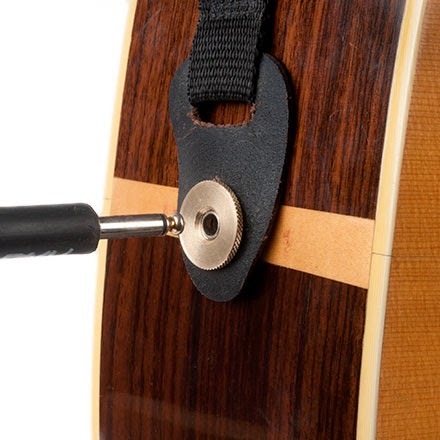 This is where the Acoustic Strap Secure comes into play. This product is the brainchild of Marcus Daniels Luthiery in the state of Washington, and they have definitely filled a market need. 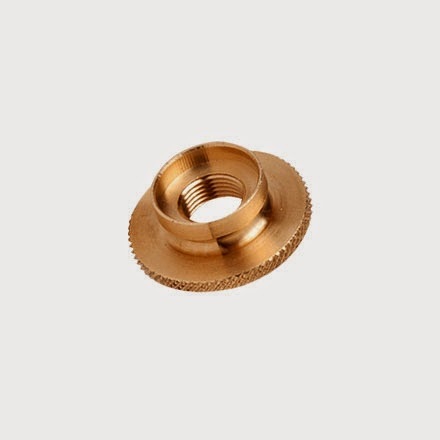 It is a 1-inch diameter machined brass knob that fits through the strap and then screws onto the threads of the output jack. 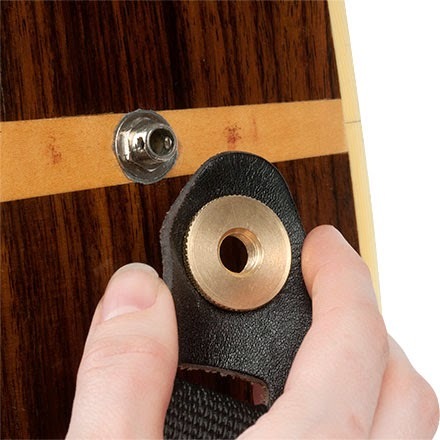 The outer edge is knurled so you can crank it down with your fingers and no tools are required. That is all – it is not complicated and there are not many parts to lose or chances for things to go wrong. The Strap Secure is available in two models: standard 3/8″ x 32 tpi to fit Switchcraft and Fishman output jacks, and metric M9x.75 to fit L R Baggs and other output jacks. You will probably want to trim the end hole on your strap a bit so the Strap Secure busing does not cause the strap to bunch up, and it is up to you if you want to leave the strap permanently installed on the guitar. I leave mine installed most of the time to avoid wear and tear to the output jack. If you decide to pick one of these up, they are $20 (shipping included) from www.acousticstrapsecure.com or $14 from Stew-Mac, but you have to pay for the shipping separately. Give one a try and let me know what you think.